This post was originally published on August 29, 2010. Given the fact that we are now four years closer, I thought it might be fun to have another look at "the birth of Jazz." Hope to be able to re-post it again three years from now! God willin’ and the creek don’t rise, in less than seven  years, Jazz recordings will be celebrating their 100th anniversary. 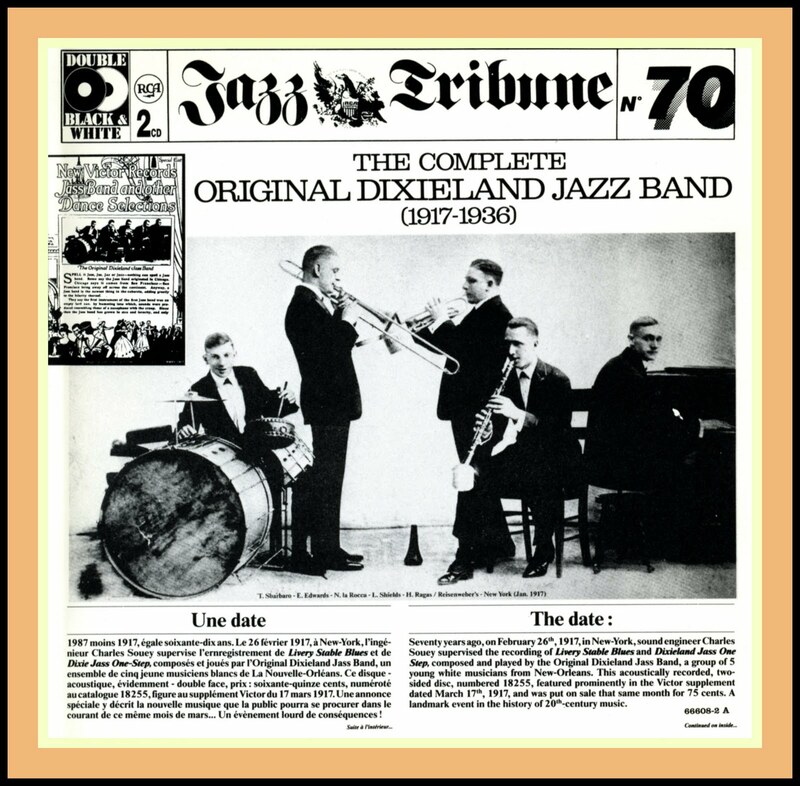 On February 26, 1917, The Original Dixieland Jazz Band recorded Livery Stable Blues and Dixie Jass Band One-Step. 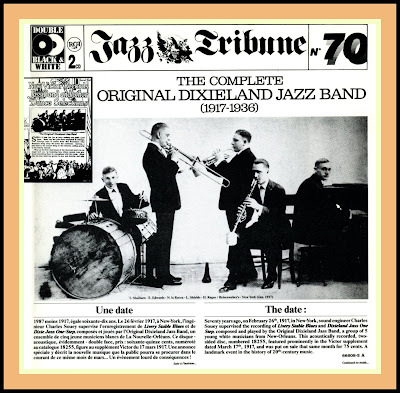 Available for sale on March 17, 1917 at a cost of 75 cents, Victor Recording #18255 was the first Jazz record ever issued. In anticipation of this eventful day, and as a means of spending some time musing about the early years of the music, the editorial staff at JazzProfiles has put together the following audio-video tribute to the creators of Early Jazz. The soundtrack is After You’ve Gone played by alto saxophonists Charlie Mariano – Jerry Dodgion and their sextet that includes Victor Feldman on vibes, Jimmy Rowles on piano, bassist Monty Budwig and drummer Shelly Manne. 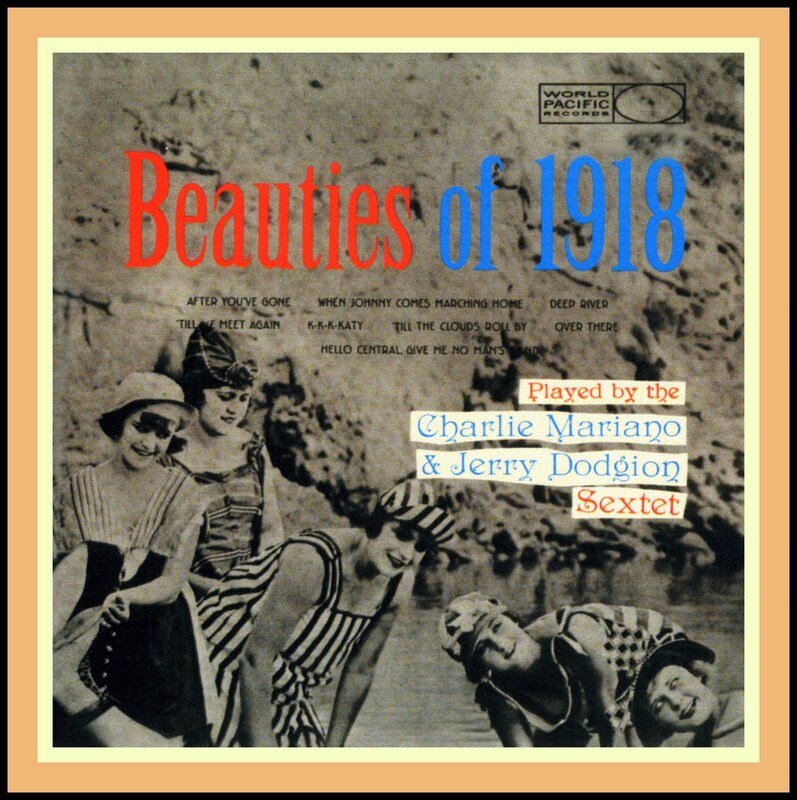 The track is from their Beauties of 1918 [World Pacific WP 1245] which is made up of a collection of tunes that were popular in and around the Unites States’ entry and involvement in the First World War [1917-1918]. Checkout the improvised-in-unison chorus that begins at 4:17 and which is used to close out the tune instead of a restatement of the melody. “The ‘Great War’ left a new generation of disillusioned, worldly-wise Americans, determined to enjoy the pleasures of youth, and damn the consequences. The older generation had certainly pretty-well ruined this world before passing it on to us. They gave us this thing; knocked to pieces, leaky, red-hot, threatening to blow-up; and then they are surprised that we don’t accept it with the same attitude of pretty, decorous enthusiasm with which they received it, ‘way back in the eighties. The above quotation [pp.18-19] is taken from Mr. Sudhalter’s Lost Chords: White Musicians and Their Contributions to Jazz 1915 – 1945 [New York: Oxford University Press, 1999]. 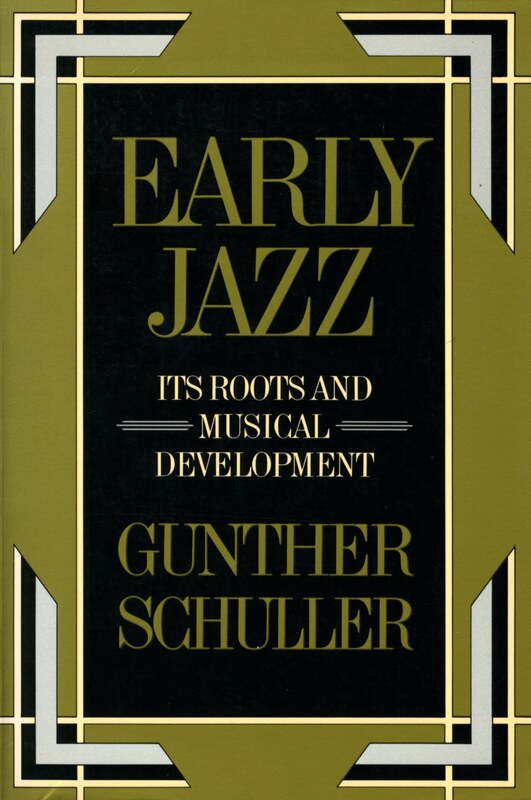 Much like Early Jazz, because of its emphasis on the contributions of White musicians, Lost Chords itself caused quite a bit of controversy when it was first published, so much so that Mr. Sudhalter wrote a defense of it which was posted on the Challenge Records website when that Dutch-based record company released a two-CD companion set to the book in 2000. Unfortunately, Mr. Sudhalter’s astute and quite brilliant writings on the subject of Jazz will no longer be forthcoming as he passed away in 2008. 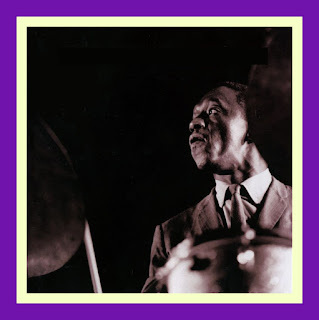 The editorial staff at JazzProfiles thought it would make its own ‘contribution’ to his memory and especially to Lost Chords’ broadening edification about some of the makers of Early Jazz by offering its readers the opportunity to read the piece he wrote for the Challenge Records website. © -Richard Sudhalter/Challenge Records, copyright protected; all rights reserved. 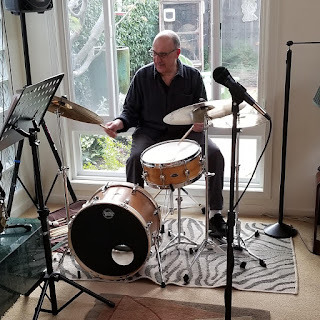 “Saxophonist-composer Bill Kirchner, a most perceptive fellow, put it perfectly: "this book is going to be a Rorschach test," he said, "but not for you. The ways in which people respond to it will tell you a lot about themselves." How right he was. The book, of course, was LOST CHORDS, my 870-page chronicle of the contributions made by white musicians to pre-bop jazz. The nine months it's been on the market have brought a wide range of response, from thoughtful analysis to near-apoplectic vilification. Not that the latter came as any surprise. In these self-consciously compensatory times, anyone suggesting (in public, anyway) that this great music was born of anything besides the black experience is asking for trouble. Too many folks have invested too heavily in the dogma of exclusively black creationism to allow anything as awkward as mere fact to rock their neatly-rigged yachts. Cushioning and empowering them is the current rage for moral and cultural relativism, reflexive male-bashing, historical revisionism, presentism (judging yesterday by today's notions and precepts), outcome-justified social engineering, indiscriminate demonization of white European traditions, and countless other perversions of the multiculturalist ideal. Scholar-pedagogue Gerald Early summed it up in one review of LOST CHORDS: "It is difficult, in most scholarly circles, to write about American whites as whites these days unless one is being very critical of them." 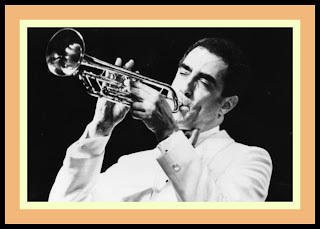 That's been the pattern lately in jazz perception here in the pre-millennial USA: the notion of white musicians as anything but brigands and exploiters, or feckless popularizers, is rigorously abjured. LOST CHORDS has indeed brought out the telltale ink blots: it's shown some commentators to be fair-minded, intellectually upright, attempting in good faith - even when they disagreed with some of the book's assertions - to evaluate both hypothesis and execution. It's exposed others, in sometimes disheartening ways, as self-serving, self-deceiving, deeply prejudiced (in the true Latinate sense) and, above all, intellectually dishonest. My main response to all the complaint and contumely has been to return to questions that dominated my long-ago days as a jazz reviewer for Rupert Murdoch's New York Post: what, exactly, is the responsibility of a critic? And to whom is he responsible? Everyone acknowledges the power conferred by just appearing in print (or on radio or TV); countless artists pander and flatter, court and cajole, for the sake of a feature, a two-paragraph review, even just a mention. It's an alarmingly one-sided process. Most critics (or reviewers, to accept Byron's implied distinction) enjoy a bully pulpit that's prominent, pervasive, all but unassailable. They write pretty much what they want - and that includes venting personal tastes, touting current favorites, even settling old scores. In some notorious cases they have been known to wallow in simple, mean-spirited subjectivity. But hold: wasn't it Stanley Baldwin who declared that "power without responsibility [has been] the prerogative of the harlot throughout the ages?" Surely being a critic or reviewer, especially an influential one, suggests an obligation to ask disinterested questions: "What is this artist (writer, composer, player) trying to achieve?" "Through what means?" "How skilled is he, how successful in executing his conception?" "Who is the target audience, and how effectively did the artistic product reach that audience?" "Am I being honest, informative and fair in representing what's been done here?" Significantly and justly absent from such a formulation is, "Did I, personally, like him or her?" "Do I like this (musical, literary, visual) style?" Do I, personally, find the conception or methods appealing?" "Is any of this in keeping with my own artistic (or political, or historical) beliefs and practices?" The critical process remains skewed, one-sided, fortressed within the utter futility of any attempt to rebut a writer's pronouncements. Sure, there are letters-to-the-editor columns. But 'fess up, now: who among us can recall seeing such a letter (when it appeared at all) that didn't sound like whining, complaint, or plain olf sour grapes? It might be interesting and productive to grant performers, composers, authors a real forum of their own, allowing them to question, weigh, challenge the judgments of those who sit in judgment of them. To ask the unasked questions ~ even, where appropriate, to examine the credentials of those who occupy the bully pulpit. Daniel Jonah Goldhagen got that opportunity in late 1996, after his HITLER'S WILLING EXECUTIONERS touched off a worldwide firestorm of soul-searching and wild accusation. It came courtesy of The New Republic, which commissioned him to write an article that appeared under the headline, "Motives, Causes and Alibis: A Reply to My Critics" (TNR, 12/23/96). 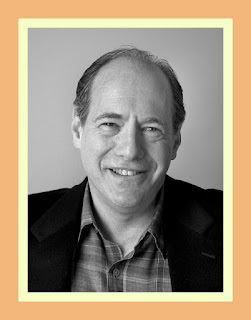 In an admirably restrained, even genial manner, Goldhagen dealt with doubters, detractors, and defamers alike, taking on issues of fact and interpretation. Exhorting one and all to define and justify their arguments about what was, after all, a deeply resonant subject. Why, I thought, isn't this kind of platform universally available? And then, as if in answer to a prayer, along came the internet. In its very immediacy, ubiquitousness, and interactive nature, it seems an ideal medium, a tool, for use in dismantling the barricades separating critic from criticized. A chat room, perhaps, compulsorily attended one day a week by the designated critic? Of course such a prospect confers rules and responsibilities of its own: no ad hominem (or feminam) stuff. No finger-pointing or name-calling. Just cogent, necessarily substantive questions, and honest answers. By way of illustration, a letter from one reader about my recent New York Times piece on writing jazz fiction complained that "Mr. Sudhalter's message seems clear: don't try to write about jazz unless you're a jazz musician... Are jazz musicians so unique (sic) that they fall into another category, too far beyond 'civilian' experience for a writer to reach?" It might have been rewarding to open a dialogue with this correspondent by saying, Yes, sir, that's exactly my message. I believe that music, unlike police work or politics (the two other fields cited by the letter-writer), totally defines its surroundings and practitioners. Jazz musicians are their music. Absent that, they're just people making a living, eating meals, paying bills — no different from cops or politicos. But that's just the point: the music can't be subtracted: it's the defining essence, which sets musicians apart, makes them special and ultimately a little mysterious. Makes their various complexes and misbehaviors interesting to writers, chroniclers, fans. 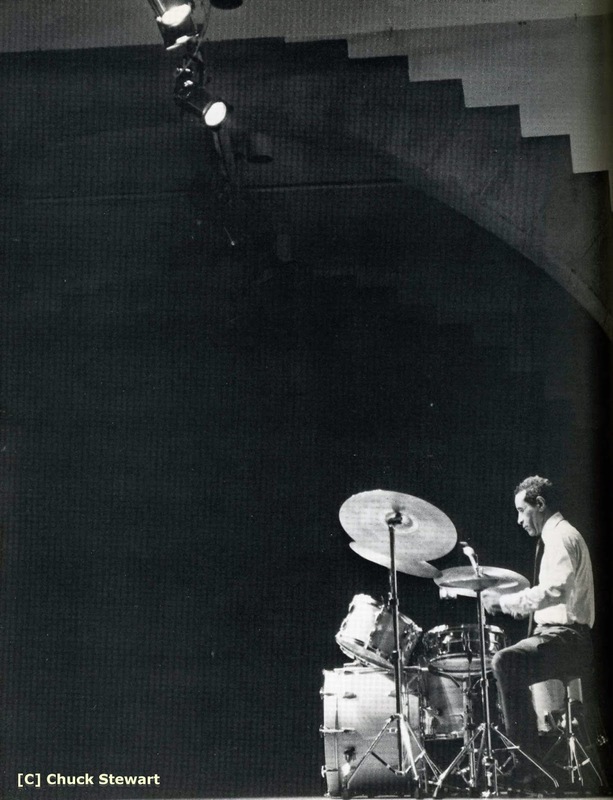 Would British writer Geoff Dyer, for example, have found Bud Powell, Charles Mingus, Art Pepper, and the other walking pathologies celebrated in his BUT BEAUTIFUL (Farrar, Straus, 1996) so fascinating had it not been for the music they made? Subtract the music and you have just another chronicle of aberrant thought and behavior. 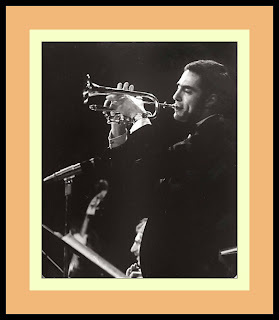 In a review of his book, I wondered whether Dyer would have been similarly drawn to musicians such as Henry Allen, Dizzy Gillespie, and Red Norvo, no less brilliant, who seem to have led balanced, eminently non-neurotic lives. It all comes back, finally, to a self-evident fact: any writer, regardless how adept, who doesn't understand music will have a tough time writing convincingly about it, either as a critic or as a novelist. Such attempts invariably wind up, as Jason Epstein put it some years ago in The New Yorker, "as though someone who had never thought of holding a brush and had never considered the problems of color and volume had attempted a life of Cezanne." 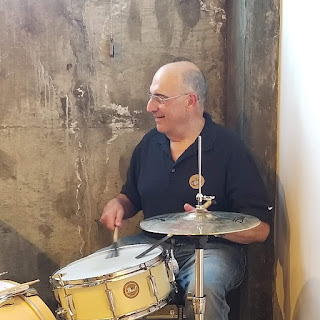 Particularly relevant to the controversy surrounding LOST CHORDS is a note in which Goldhagen alludes to negative comments by Man openly hostile reporter who argued with me about my book even while admitting that he had read only a small portion of it." 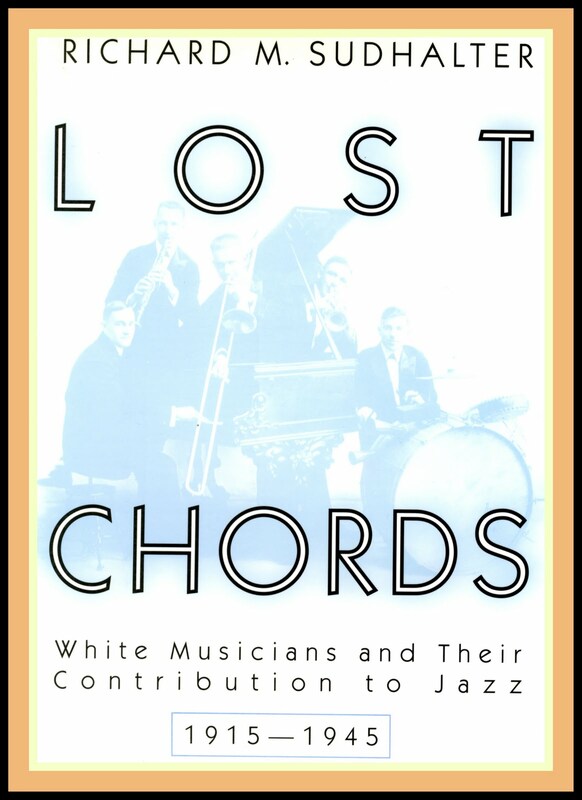 One of the radio interviews I’ve done since LOST CHORDS appeared was with a jazz "expert" who rather cavalierly questioned the very need for a book glorifying white musicians. Of course, he added, he hadn't read it - but "people," unidentified, had told him what it was "about" — therefore presumably qualifying him to pass judgment. Then, too, buried on a back page of the Sunday New York Times Book Review, was a critique by New Orleans-based writer Jason Berry. Dealing mostly with the book's introduction, and dipping only fleetingly into the text, the writer squandered precious column inches on such peripheral issues as Albert Murray's 1976 book STOMPING THE BLUES, the role of the long-ago Fisk Jubilee Singers in popularizing spirituals, the character of the legendary New Orleans figure Buddy Bolden. 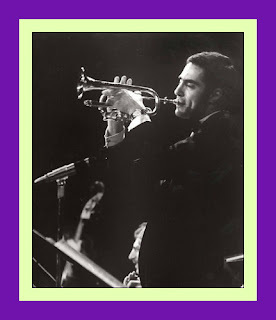 "Sudhalter is right to assert a role for white musicians in jazz history," Mr. Berry declared in his final paragraph. "If only he had used more light and less heat to make his case." Heat? Search as I might, I could locate none, and none of the "strained polemic" Mr. Berry claimed to find. How sweet it might have been to counter such stuff on the spot. Strained polemic? Where, Jason? How? Show me. More heat than light, in a volume that scrupulously maintains a detached, even Olympian, tone? Chapter and verse, Mr. Berry, please. And what, too, of the British writer who decried the book's "dense, lifeless prose, dotted through with sidetracks, points of barely relevant detail, and a great deal of repetition and deviation?" Let's place the reviewer (whose own book, launched by the same publisher and editor as mine, was not without its clunky passages) in the dock, having to support his every adjective. Like Pip, in the still unsurpassed 1948 movie version of GREAT EXPECTATIONS, parting the drapes of Miss Havisham's musty old room to let glorious light stream in, let's bring the jazz panjandrums out from behind their curtains and screens, invulnerable no longer - held to account at last for their every utterance. LOST CHORDS has just gone into a second printing. Retrieval Records, a branch of Challenge, has issued a two-CD companion set, supplying 49 vintage cuts in illustration of music and musicians discussed in the text. 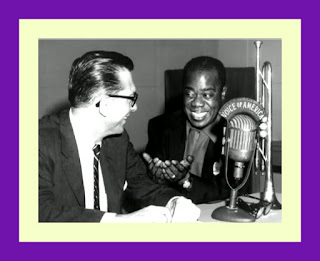 Here are Bix and Tram, Bud Freeman and Adrian Rollini, Joe Venuti and Eddie Lang, Red Nichols and Miff Mole — even such relatively obscure figures as Boyce Brown and Jack Purvis, in sometimes brilliant performances. Never mind the racial rhetoric or quasi-authoritative edicts from "authorities" who'd have trouble finding B-flat if they stumbled across it in the dark. The music speaks eloquently for itself, calling upon those who would judge it and its players to establish criteria and credentials for doing so - or forever hold their tongues. 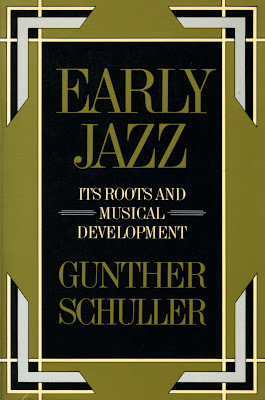 In addition to Sudhalter’s marvelous book, for those who wish to read more widely on the subject of the beginnings of Jazz, Gunther Schuller’s Early Jazz: Its Roots and Musical Development [New York: Oxford University Press, 1968] is highly recommended. This history, the first of two volumes, attempts among other things to fill some of those gaps, to explore, as it were, the foothills as well as the peaks of jazz. 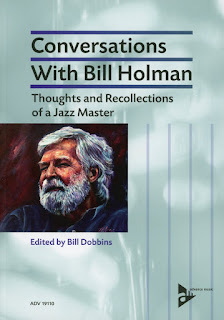 In fact, this volume has been written on the as­sumption that virtually every record made, from the advent of jazz recordings through the early 1930s, has been listened to, analyzed, and if necessary discussed. A true assessment of an artist (or a particular musical development) cannot be made without reference to the totality of his work and its relation to his contemporaries. An analysis of Beethoven's Eroica or Armstrong's West End Blues without reference to musical history or the development of musical style could yield a certain amount of factual information, but a full evaluation would obviously be impossible without considering the authors' total oeuvre and that of their immediate predecessors, contemporaries, and succes­sors. The work of Johnny Dodds, for example, cannot be properly assessed without comparative listening to at least Sidney Bechet or Jimmy Noone. 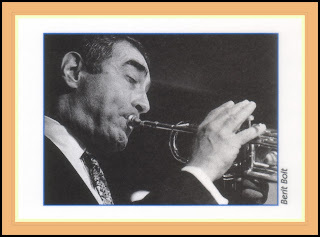 Similarly, jazz historians who write about the Original Dixieland Jazz Band without having listened to James Reese Europe or Earl Fuller recordings can hardly arrive at a reasonable evaluation of the ODJB. To be continued over the next seven [three] years and, hopefully, beyond.